This has been the “Year of Mobile” indeed for Google and AdWords. Perhaps you recall that Google’s organic search team rolled out their “mobile friendly” update to search results that favor mobile-friendly sites and surfaced apps in mobile search. Measurement products to help advertisers measure the impact of their ads online, across apps, and in-store. 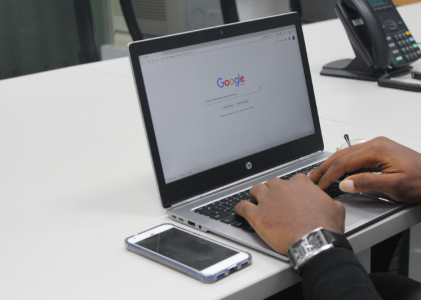 Google indicated that this AdWords update is in response to changing user behaviors (ie – more people using mobile phones to do more things) and the need for brands to better reach customers during these moments. 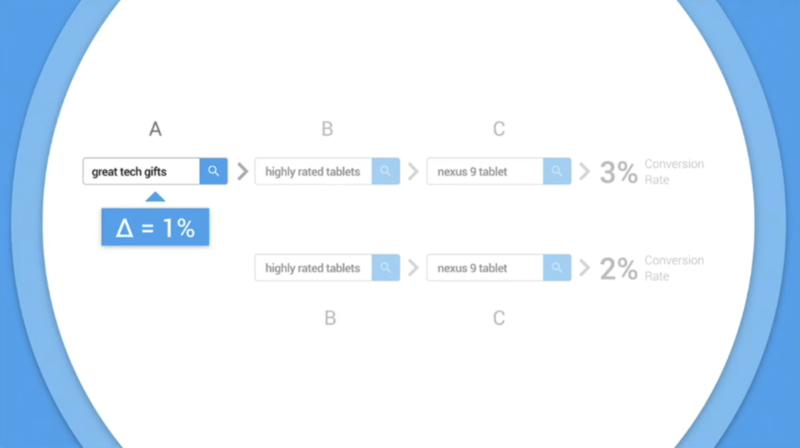 In fact, Google announced today that more searches take place on mobile than on desktop. Google set-up today’s announcements by focusing on what they’re calling “Micro-Moments”, which is driven by the stat that 91% of smartphone users now turn to their phones for ideas while right in the middle of a task. Google coined these types of tasks as “I wanna know”, “I wanna go” or I wanna buy” moments. In these moments, users tend to be more loyal to their needs at these moments than they are to a particular brand. The premise is that marketers will win by prioritizing on these moments where immediacy and relevance count more than a brand name. In a lot of cases – we felt that there was a lot of blending between what could be viewed as information from organic results and on-site experiences into paid ads. This approach takes some of the “click” out of search behavior by keeping searchers on Google until a searcher is ready to transact. 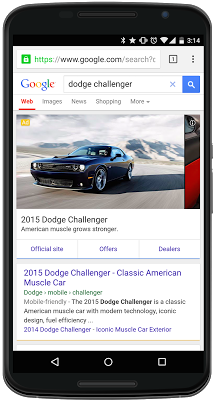 Google announced new ad formats for specific types of advertisers. New Automobile Ads formats are meant to mimic the look and feel of the car buying experience by providing a lot more images and car information (horse power, MPG, etc). But the ad unit for SMB’s here is essentially a built-in ‘dealer locator’ that auto franchise dealers can buy. These look a lot like local organic listings within the ad experience. 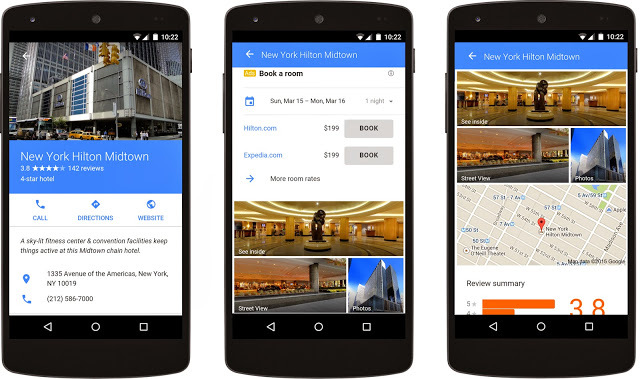 For those “I wanna go” moments, Google unveiled Hotel Ads, which essentially mimic an experience like someone might find on a travel site where more information is packed into the ad unit including rates, availability, location information, and a click to book button where users will be taken to the partner site to complete a booking. This ad unit, Google newest addition to Google Compare is not yet available but ostensibly, lenders will be able to buy placement amongst other mortgage providers and enable searchers to apply or speak to an adviser for more information directly from the search ad. Google is rolling out features aimed at helping advertisers manage for moments by making it easier to create and manage campaigns. 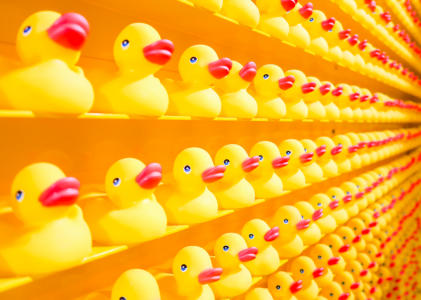 The Google Display Network (GDN) now features a staggering number of ad sizes, and advertisers had to work with their design teams to create an ad in every single size in order to capture inventory. Now, Google will only require ads in 3 different sizes and they promise to automatically resize those 3 ad sizes as needed. One of the more difficult concepts for advertisers lies in understanding the relationship and tradeoff between volume and efficiency when setting a target cost per conversion (or cost per acquisition (CPA). A new simulation tool shows advertisers the effect of setting higher or lower CPA’s on volume and cost. A new “Bid Strategy” reporting dashboard was also unveiled in the AdWords Shared Library that helps advertisers evaluate the performance of bid strategies over time. They eyes of most marketers start to glaze over when people start talking about analytics and attribution… but not for search marketers! These are perhaps some of the more exciting announcements today. Google reported that 9/10 people switch devices or even make a call or visit a store while completing a task or purchase. While there are all kinds of studies to support this and intuitively we all know this, that doesn’t make it easy to report on. Google is trying to help solve this with tools/methods/metrics to measure the full impact of campaigns on their business. AdWords advertisers will be able to move beyond last-click and select an attribution model for each of their conversion types, which will be reflected in the AdWords reporting and integrated into automated bidding. 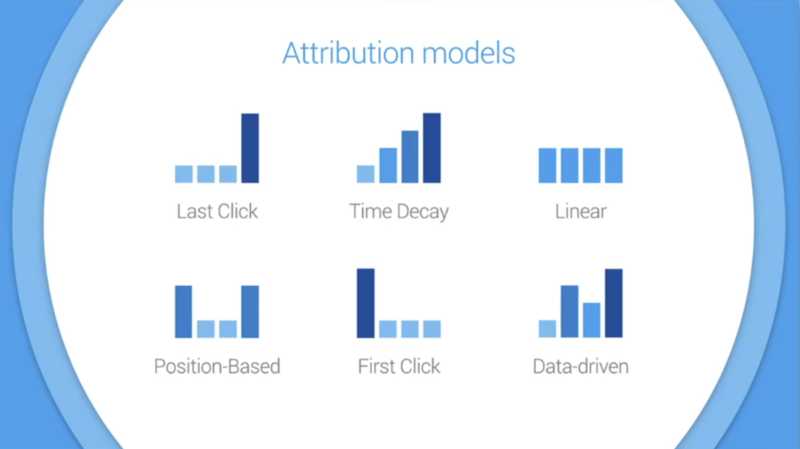 However, advertisers still have to choose which attribution model is the best suited for their needs. That’s why Google also introduced “data-driven attribution” (rolls out later this year) which will use an advertisers own conversion data to calculate the contribution of each keyword across the conversion path. This way, advertisers won’t have to select a model and hope it’s the right one. Cross-Device Conversions & Automated Bidding Not yet available. Google promises that advertisers will be able to include cross-device conversions in the conversion column and take action with automated bidding to capitalize on this activity. 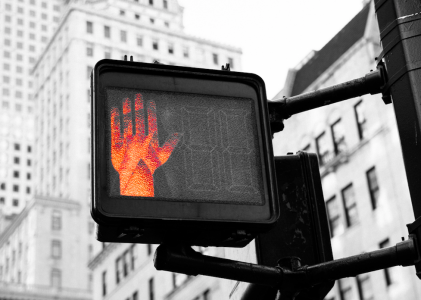 So – what’s your reaction to today’s AdWords announcements? 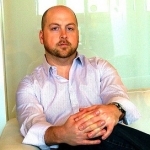 Ben is an agency Principal and Senior VP of Marketing for Add3, a digital marketing agency, with offices in Seattle and Portland. Ben got his start in SEM way back in 1999 – when there was like, 15 search engines and Google was barely a thing. Prior to Add3, Ben had founded Amplify Interactive in 2003 (which was acquired by Add3 in 2013), and hasn’t looked back since. Ben likes lots of stuff like golf, pinball, food(ie), booze/beer/wine – in that order, etc. Mostly – he likes doing that stuff with his friends. Ben is also co-founder of SEMpdx, a Portland-based digital marketing association with over 200 members that puts on the annual SearchFest conference in Portland. Check out Add3 at www.add3.com, or on Twitter @Add3Com.